Wedding advice, guides and competitions! Welcome to our social area that is designed to provide inspiration, ideas and advice for all kinds of wedding topics! We regularly bring you blog posts on all things wedding related, news of our new products on Facebook, mood boards on Pinterest and fantastic competitions for all the brides-to-be! Feel free to browse our social area below to keep in touch with all the latest trends. Along with all the fab social areas, and blog posts that we have, there's also a wide range of helpful guides across the website. We've decided to pull them all together in one easy-to-find place for you to make the most of. Ranging from how to use our website, what the purpose of wedding stationery actually is these days, through to ink colours, traditions and finishing touches. Make the most of the web pages below as there's lot's of useful information not to be missed! How to Order Helpful tips on how to use the website, and what things mean whilst ordering. Order FAQs All the questions our customers ask us, and general advice on what to order for your wedding. Colour Schemes We have 11 ink colours available for your wedding stationery, see them close up here. Lettering Styles You can personalise your wedding stationery using a variety of lettering styles. See them in more detail and compare side by side. 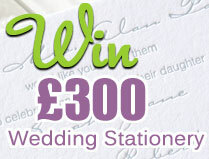 Wedding Wording Styles Stuck for what to write inside your stationery? Let us inspire you with suggestions, hints and tips. Motifs & Designs On selected stationery and accessories you can include a motif. Browse the available motifs and choose your favourite. Your Stationery Ever wondered why you need so much wedding stationery, or what a Save the Date card actually does? We explain all so you can be the judge of what your big day will require. Finishing Touches Thought we stopped at wedding stationery? Think again! We actually have a whole host of accessories and gifts to complete your big day. Invitations FAQs Questions asked by our past customers feature here along with some website tips. 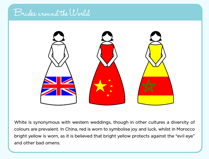 Wedding Etiquette Lean about wedding traditions, what each member of the wedding party does on the day, and all those final bits and pieces that make your day complete. We're bursting at the seams with ideas, advice, tips, competitions and more! We have wealth of knowledge to share! If you're wondering 'what's an infographic' have a look! We've cleverly put together an interesting image from survey responses. Pin our designs and browse our inspiring boards for all kinds of wedding ideas from stationery to flowers, favours and gifts. 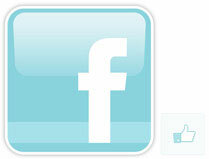 Like us on Facebook for exclusive competitions, offers, news and showcases of our new invites, stationery and much more! Add us to your circle, follow our posts and +1 us to your friends. 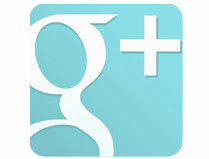 Visit us on Google+ for updates, news and events. See the latest #trends and follow us on our Twitter page. All the latest #competitions and #news can be found here. Watch videos of our invitations and stationery to see how they open and unfold. See them dazzle and shine in the natural lighting. 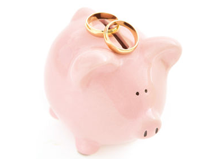 Keeping track of your wedding budget can be difficult. We've put together a budget template for you to use at home. Just add your info!